Courts around the world have rebuked claims made in lawsuits from smartphone manufacturers, The Wall Street Journal detailed in an industry profile this week. The report was filed in response to the news on Monday that the European Commission found that Google's Motorola Mobility had abused ints dominance in mobile patents when it sought an injunction against Apple's iPhone in Germany. The most high-profile victory thus far was won by Apple, which was awarded $1.05 billion by a jury in a patent suit against Samsung. But that decision is under appeal, and Apple has yet to see the money, while the judge vacated 40 percent of the award in March. The U.S. Patent and Trademark Office has also moved to invalidate some patents that are key to Apple's litigation claims, specifically inventions related to pinch to zoom and rubber banding user interface elements in the company's pioneering iOS platform. Apple also temporarily won injunctions in the U.S. against infringing Samsung products like the Galaxy Tab 10.1 tablet and Galaxy Nexus smartphone, but those bans were eventually overturned and sales were allowed to resume. 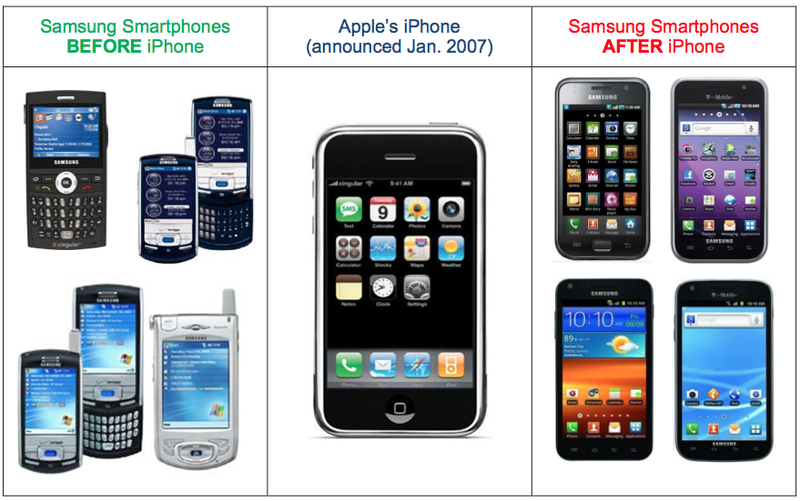 Patent litigation in the smartphone market has done little to shake up the status quo. Apple and Samsung remain the dominant players, together accounting for 100 percent of the industry's profit. Meanwhile, competitors such as Nokia, Microsoft, BlackBerry, HTC and others remain bit players in the lucrative smartphone industry, as their own legal efforts have failed to secure any major, industry shaking victories. Apple Chief Executive Tim Cook said last year that he would rather settle litigation than take it to court, but added that he will do whatever is necessary to protect his company's intellectual property. He said if he could get a guarantee preventing future patent infringement from competitors like Samsung and Motorola, settling would be the preferable option. "The key thing is that Apple not become the developer for the world," Cook said. "We need people to invent their own stuff." And one Samsung executive characterized the current sprawling litigation as "a loss" for the smartphone industry as a whole. Samsung VP David Eun said at last year's "D: Dive Into Media" conference that he felt lawsuits were stagnating innovation.